The House of Jones: Thank you Mrs. Karen! I have this amazing friend in the blogging world. We've never met in person, but we are kindred spirits with so much in common. 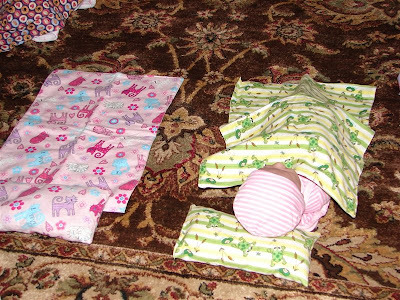 She was so kind to make some of the CUTEST doll blankets and pillows for us to give Rebekah for Christmas. She LOVED them! So, Karen, this is for you! 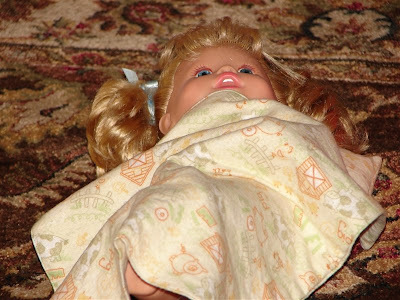 I was able to get a few photos of the dolls, all tucked in and ready for their nap. How cute is that!! 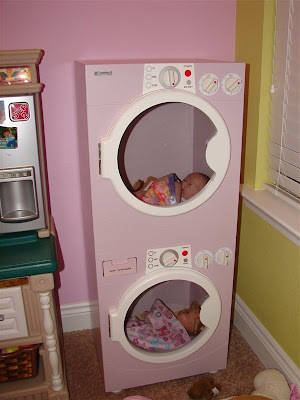 I love the babies in the washer. 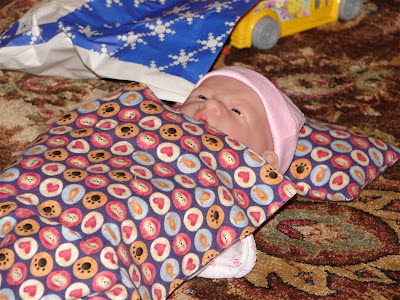 I did the same thing when I was a little girl! Oh! Even though I'm not Ms. Karen, I so much enjoyed being in Bekah's room while she played with her babies...that's great! I have to make something for Rachel! "Did she make something for me?" I am a true southern gal - through and through! I did think to myself when I watched the playback of the video, "I can hear the southern drawl!" Now this can add some spice to your blog reading - glad to help you out!